Twice a year we organize a horseback safari from Udaipur to the Camel Market and Pushkar Fair in this little town at the edge of the Thar Desert. Being a certain highlight of our safari year, this safari is certainly most spectacular firstly for its great landscapes and secondly of course for the participation in the colorful Pushkar Fair, probably one of the most vibrant festivals of India. The safari trail leads from the Aravalli Mountains with its unique geographic features down into the great Thar Desert and the little town of Pushkar. Considered a holy town, once a year Pushkar sports the biggest Camel Market of India, which is also a religious festival and a handicraft fair. There are only a few places of interest along the way but the rather substantial change of landscape taking place is simply breathtaking. After leaving the Aravalli Mountains behind, the riders will enter the semi-desert stretching around the edges of the Thar Desert where man fights hard in order to make a living from the poor soil. Camels replace horses and cows and the stony terrain of the hills gives way to the sandy desert ground. A few highlights are along the route such as the interesting tribal culture of this region or the impressive fort at Kharwa, which our riders can visit. The local noble family is much interested in horses and if at home, never misses a chat. But the real highlight of this safari is of course the Pushkar Camel Fair where every year around 25 000 animals, camels, horses and cattle, are traded. It is also a major festival so many people of the region come to Pushkar in order to enjoy the fair, take part in the religious ceremonies or indulge in purchasing all sorts of items. The first set of dates is our safari Udaipur to Pushkar. The second set of dates is our safari from Pushkar to Udaipur (Pushkar Return Safari). The time spend on the Pushkar Fair in both safaris is equal. Terrain: From the Aravalli Hills to the flat sandy plains of Thar Desert. Pick-up/ drop-off is available from Maharana Pratap Airport in Udaipur (UDR) or Udaipur railway station. Time for sightseeing. Dinner and overnight in middle class hotel. After breakfast you will have the chance to either take a boat ride on Lake Pichola in Udaipur or do some sightseeing of the Eklingji / Nagda temples on our way to Deogarh, the starting point of the Safari. In the afternoon we will take a test ride to make sure we are well matched with our horses. Overnight stay in our safari camp. On the first safari day the trail will lead through the lower hills of the Aravalli Mountains. Todays route takes us through small villages and across lush, fertile lands. Around 4 pm we will arrive in the safari camp where we will spend the night. Overnight stay in our safari camp. Another day of riding through the hills. After lunch we can visit a number of tribal villages. They are usually situated on top of small hills surrounded by a wall of thorn bushes. The houses are built in clusters with thatched roofs and with walls made of mud. Often they are nicely decorated with white tribal paintings. Here we can experience first hand the unique culture of the Rajasthani tribes. Overnight stay in our safari camp. Today the landscape becomes more level and open. The main range of the Aravalli Mountains lies behind us and today we must navigate through a handful of ravines and canyons on the way to Thar Desert. The landscape is changing again and the lush vegetation is giving way to thorn trees and shrubs. .In the villages camels are becoming an increasingly common sight and cows are being replaced by goats. Overnight stay in our safari camp. Today we enter the semi-desert which borders the vast expanse of the Thar Desert. The ground becomes sandy and the predominant colours are now yellow and brown. The terrain has leveled out and the hills are left behind. Open desert invites opportunity for long trots, canters and gallops and we may spot some antelope. Overnight stay in our safari camp. Another day of riding through semi-desert brings us closer to Pushkar. We will encounter herds of cattle, camels and sheep either going or coming from the fair. Trading in Pushkar has taken place many years before the fair came into being and in the course of nearly a month thousands of animals will arrive in the otherwise sleepy town of Pushkar. We will have lunch today by the very impressive Kharwa Fort which we can visit afterwards. We should arrive back at camp in the late afternoon. Overnight stay in our safari camp. The last day of the safari the trail before reaching Pushkar leads us over sand roads and through thick thorn bush vegetation which is home to Nilgai and Chinkara antelope. Villages are rare at this point on our ride and the sand roads invite faster riding. Arrival in Pushkar is around 3:30 pm but a part of the Mela (fair) has to be crossed in order to reach our camp which is situated within walking distance of the fairground. The riders will have a short glimpse of the fair and the camel market. In the evening we may have a chance to walk over to the fair or perhaps attend some of the evenings activities going on there. Overnight stay in our safari camp. After breakfast we will can visit the Pushkar Fair on horseback. Since the trading ground is on a huge sand dune outside the town, this is a very comfortable and easy way to discover it. After the fair we will visit the area around Pushkar. Pushkar is situated at the edge of the desert and is surrounded by spectacular scenery. The countryside here is dry and infertile making agriculture rather hard. Many farmers choose the business of raising camels here, due to their adaptability in drought stricken areas. Overnight stay in our safari camp. Morning free to do sightseeing in Pushkar and then departure. *Possibility to add on other sight-seeing options for the tours end. Arrival in Pushkar and transfer to our camp (transfer from Udaipur is available). Afternoon free to explore the Fair and to get to know the horses. Overnight stay in our safari camp. After breakfast the riders can see the Pushkar Fair on horseback. Since the trading ground is on a huge sand dune outside the town, it is a very comfortable and easy way to discover it. Lunch can be either eaten in our camp or, if the riders want, packed and eaten along the way. In the afternoon they can set out on their own to either visit Pushkar or have another round at the fair. At the fairground, colorful programs are taking place all day long. Horse and camel races run, as well as fun competitions such as water pot races or a turban tie competition. Information about the timings will be given by us in the camp. Beginning the safari, the trail leads over sand roads through thick thorn bush vegetation. Occasionally a field can be seen where a farmer tries to grow pulses on the infertile land. The main means of livelihood here is animal husbandry. On the way a small temple can be visited and the riders can admire the ruins of ancient forts. Arrival in Pushkar is around 3:30 pm but a part of the Mela (fair) has to be crossed in order to reach our camp which is situated within walking distance of the fairground. The riders will have a short glimpse of the fair and the camel market. In the evening they have a chance tp walk over to the fair or attending dance programs. Another day of riding through semi desert, encountering hundreds of animals going to Pushkar or coming from the fair. Today the trail leads through tribal land and the riders can admire their hamlets and villages. On this day the riders will slowly leave the desert behind. The land however still is level but the hills can be seen in some distance. Flocks of cattle, goats, sheep and many camels are passing. All head towards the Pushkar Fair or are driven back home. Occasionally the riders will encounter nomads with colourful turbans and huge moustaches herding their camels to Pushkar. They transport everything they own and need for a living on the back of their animals. The small children and women with infants are allowed to ride, the rest of the family is walking. The main range of the Aravalli Mountains is laying in front of the riders now. The climate is still dry and so is the vegetation. But now trees are lining the way and the thorn bush vegetation is left behind. Stretches of open country invite for an occasional gallop and the horses enjoy the soft and level ground. Camels are still a regular sight. Today the landscape becomes hilly. The desert is left behind and the riders enter the lower ranges of the Aravalli Mountains. The riders can visit a number of tribal villages. They are usually situated on top of small hills surrounded by a wall of thorn bushes. The houses are built in clusters with thatched roofs and walls made of mud. Often they are nicely decorated with white tribal paintings. Here the riders can experience first hand the unique culture of the Rajasthani tribes. After arrival in the camp, which is nicely situated at a small lake, Jormuda Fort can be visited. On the last safari day the trail will lead through the low Aravalli Mountains. The route goes through villages and fertile lands. On the way the riders have a chance of visiting temples and see Baoris (step wells) with marble chattris (small pavilions). Around 4 pm the camp will be reached. Pace: First slow with a lot of climbing, then long trots, canters and occasional gallops in the sandy desert plain. Nearly all the horses we use for safaris and trail riding are Marwari horses. This breed is native in Rajasthan and best suited for long rides in this region. Formerly bred for the purpose of war , the Marwari horse has Arab and Turkmeni ancestors, which were brought to India by Central-Asian and Muslim invaders. His home is the desert kingdom of Marwar from where it spread through the whole of Rajasthan. Its name means quite literally “from the land of death”. Over centuries it was bred in the harsh desert climate of Rajasthan by warring Rajput clans. The Marwari horse is a medium-sized, elegant horse. The most distinguishing features of the Marwari horse are its lyre-shaped ears, which curve inward and often meet at the tips. Besides providing a sharp hearing, they can be turned by 180 degrees. The Marwari has a longish head with a broad forehead, wide-set and alert eyes and a well-shaped rather small mouth. It is elegantly proportioned with a proud head carried on a well-arched neck. The legs are straight and sound with small and very hard hooves. Let us introduce you to our special royal Marwari horses, an ancient breed of warhorses whose history is entwined with the history of Rajasthan and the Rajputs. It is rightly said that “one cannot separate a Rajput from his horse” and there is a saying: “If God did not create the horse, he would not have created the Rajput.” This makes it quite clear what a role the horse played and is still playing in Rajasthan. The cow is holy but the horse is divine and still serves as a symbol of strength and wealth. So a visit to Rajasthan is a visit to a horse country of the finest order. In every village a fort can be found, in every village some horses can be found. And even in these poorer village horses, often thin and over-worked, one can still see a former gleam of royalty in their eyes. The Marwari horse used to be the horse of the king and his nobles. Bred for war and show, they still display a remarkable pride and dignity. Their ears are distinctively curved inwards in a lyre-shape and often meet at the tips, which makes them unique and easily recognizable. The fortunes of the Marwari horses changed with the ascendancy of the British in India. British officers found the Marwari to be undersized and hot tempered, so they imported shiploads of Australian Whalers who were quick, tough and inexpensive. The Maharajas turned to luxury and extravagance and copied British ways. Instead of keeping Marwari horses, they bought expensive thoroughbreds or Australian mounts. Having surrendered their very reason d'etre, India's former kings and nobles lost a fundamental part of their soul and left their heritage and traditions behind. After independence things did not improve for the Marwari horse, in fact the situation worsened. Being perceived as a symbol for the despised feudalism, many Marwari horses were castrated, killed and scattered. The breed was neglected for decades and few pure specimen survived. Finally the Marwari horse was saved by its own people. Local land gentry managed to rescue a few animals and started their own breeding programs. Tourism and horseback-safaris have provided a tremendous boost to the revival of the Rajput culture and ultimately to the future of the Marwari horse. Today there are countless breeders in Rajasthan, Gujarat as well as the Punjab and the prospect of the Marwari horse looks brighter than it has for a long time. Our horses live in comfortable stables and paddocks and are left to roam free during the day on our farm. All our Marwari horses were handpicked by us as we wanted to have only the best suited horses for our safari. As we have some foals every year, some of our riding horses were born in our stable and raised and trained by us. In fact we are very proud that today we have a stable of finest Marwari horses fit for riding and breeding. 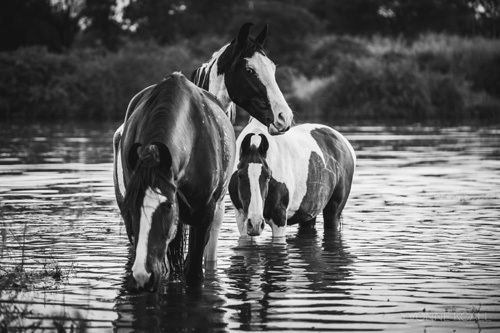 We believe in the principle of Natural Horsemanship which means that we keep our horses as natural as possible and train them according to NHS. Some of them are ridden with a hackamore, just a halter or even a simple neck rope. All are very well trained, obedient and a pleasure to ride. 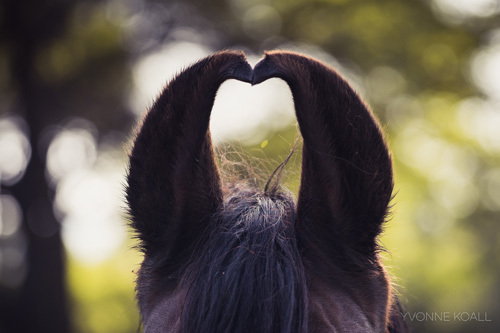 Our horses are cared for with love and affection. They are properly fed, vaccinated, de-wormed and shoed. We have imported saddle tack for all of them in order to maximize comfort for horse and rider. On the safaris we take only horses which are 100% fit and prepared. Already before the safari we try to find a suitable horse for each rider according to riding skill and preference. Spare horses go along each trail in case another horse goes lame or one rider wants to change. Our family’s faith has been intertwined with those horses for generations and the passion for them is unbroken. The riding style is different to both English and Western and on the spirited Marwari horse. We offer lessons on the horses prior to the ride. A couple of extra days for pre-safari lessons may make your riding experience more enjoyable. Please let Hidden Trails know if you would like to book lessons before your ride. The safari is run by a member of the noble family of Boheda Shaktwat and his wife. The Shaktawats of Boheda trace their lineage to Shakti Singh (1540-1594), brother of Maharana Pratap. By killing two soldiers who were chasing Maharana Pratap after the battle of Haldi Ghati, Shakti Singh saved his brother's life and was thus rewarded with extensive jagirs (land grants) and titles. The largest state in India, Rajasthan's climate can be divided into 4 seasons: summer, monsoon, post-monsoon and winter. Temperatures vary depending on the season and the region. Summers in Rajasthan are particularly hot with temperatures rising up to 48°C during the day. However, in places like Mount Abu, Kumbhalgarh or Ranakpur, the weather is pleasant and the views offered are breath-taking. Monsoon is a far more pleasant experience, the temperatures tend to drop across the state and the rain showers transform the arid landscape of Rajasthan. It is a particularly good time to visit if you wish to avoid the crowds you'd usually find during peak tourist season. The temperatures continue to drop once the monsoon has passed, and come October winter sets in that lasts till March. During December and January, there can be a severe variation in temperatures during the day and the night. In fact, temperatures are known to drop as low as 0°C. This is the best time to visit Rajasthan as the desert sun is not as intense and the days are pleasant. Your luggage will be transported by car, so you do not have to take everything with you on horseback. We do, however, recommend that you use lockable bags or suitcases. Princess Trails is not responsible for the loss of any valuables unless they are handed to us before the safari. For each item we will give you a receipt. Each horse has two saddle bags, but your lunch packet and water bottles have to fit in before anything else can. This is a wilderness ride, so nights will be spent in a combination of hotels and camps. You will spend 1 night in a hotel and 8 nights in tents, staying in 8 different locations total. Accommodation during the riding portion of the tour (in most cases) will be in a safari camp. The reason for this is that many of our routes lead through scarcely populated areas away from the usual tourist paths. Very often the night has to be spent in the nature away from human dwellings. Featuring the architecture of a bygone era and located just 1.9 mi from Udaipur City Palace and Lake Pichola, Hotel Boheda Palace offers free WIFI throughout the property, a rooftop restaurant, and a 24-hour front desk. It has a gorgeous terrace with views of the surrounding area, the hotel also offers luggage storage and laundry facilities as well as a tour desk. Each air-conditioned room features local décor and is equipped with a wardrobe, work desk and a satellite TV. The attached bathroom has shower facilities and contains complimentary toiletries. Laundry is available for an additional cost. Our campsites are chosen with great care and offer a maximum safety and superb views. Away from the busy Indian towns or villages, they are a paradise for nature lovers and bird-watchers. The camp offers all necessary facilities to the riders. The tents are comfortable and inviting Indian hunting tents with high ceilings, double or single occupancy. 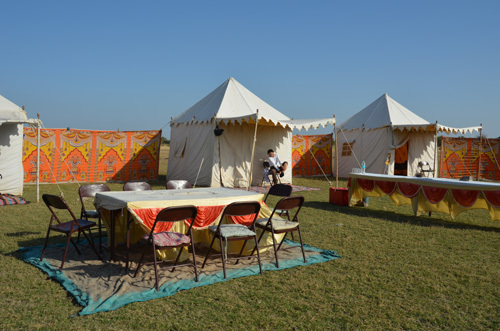 The tents are made in the traditional Indian style with a roofed entrance where the riders can leave their shoes. 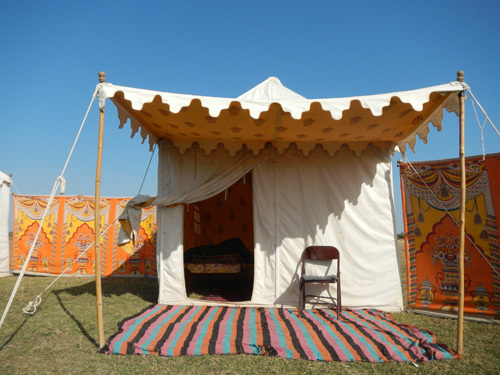 Each tent is equipped with mattresses, sheets, pillow, cushion, quilts, and woolen blankets. The camp has bathroom trolleys with two showers (bucket shower with hot water) and toilets. Hot water is provided in buckets. Towels, soaps, etc. are supplied. Grouped around the dinning area, they are encircled by a partition enclosure of cloth with a colorful Rajasthan pattern. All meals are included from dinner on Day 1 to breakfast on Day 10. Breakfast and dinner is served in our dining area, an open space with a sunroof, tables and chairs. Breakfast is Continental style with fruits of the season, eggs, and toast. Lunch will be either taken as package on the trail or brought to you by Jeep. Dinner is a traditional 3-course menu of Indian food (non-spicy). Alcoholic beverages are not included but alcohol can be purchased (not expensive) or brought. Beer, wine (Indian), whiskey, rum, gin and vodka are available. Passport valid for at least 190 days required by all nationals referred to in the chart. Required by all nationals referred to in the chart above. Note: Nationals not referred to in the chart above are advised to contact the embassy to check visa requirements. Certain parts of the country have been designated protected or restricted areas that require special permits and in some cases prior government authorisation. Intent to visit a specific restricted region should be indicated when applying for a visa and a permit will be granted to visit that region only. An additional form must be completed. Passengers are advised to check with the tourist board for up-to-date information before departure. Tourist visa: £30 (multiple-entry; six months); £50 (multiple-entry; one year). Business visa: £105 (one year); £160 (more than one year). Transit: £8 (single/double-entry). Prices for certain other nationals vary, nationals are advised to contact the embassy to check cost. Tourist: six months or one year for multiple entry. Transit: maximum stays of 15 days within three months. Business: three or six months, or up to two years for multiple entry. Embassy or high commission (or consular section at embassy or high commission); see Contact Addresses. There are also Indian Visa Application Centres in London, Birmingham and Edinburgh. Personal applications can normally be processed the same day. Applications made at the visa centres will take at least 2-3 working days. Postal applications take a minimum of 10 working days. Where referrals are required, applications may require 20-25 working days.